Intestinal organoidWIKIMEDIA, MERITXELL HUCHTraditionally, gene therapy efforts have attempted to treat genetic diseases by modifying DNA inside a patient’s body, but it has been a challenge to deliver the genetic material to all the target tissue, let alone to do so safely. But in recent years, advances in gene editing and stem cell research have enabled scientists to correct genetic defects in a patient’s own cells and grow tissue-specific “organoids” in vitro. These mini organs hold promise for modeling disease, screening drugs, and—potentially—replacing defective tissue in patients. Advances in CRISPR/Cas9 gene-editing have enabled researchers to easily and accurately make genetic modifications to human DNA. 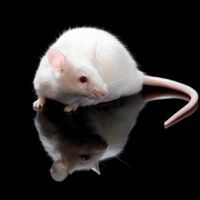 Meanwhile, the ability to reprogram cells into induced pluripotent stem cells (iPSCs) and other advances in tissue engineering have enabled scientists to grow a range of different tissues, including mini guts, kidneys, and brains. Hans Clevers, a molecular geneticist at Utrecht University in the Netherlands, is one pioneer of these efforts. His lab uses adult stem cells from the gut, which, unlike other tissue, are constantly renewed. “Our technique is the only one to directly grow organoids from [patients’] tissue,” without having to first convert the cells to iPSCs,” he told The Scientist. In a 2013 study, Clevers and his colleagues cultured intestinal stem cells from patients with cystic fibrosis. The condition is caused by a defect in the cystic fibrosis transmembrane conductor receptor (CFTR) gene, which leads to a build-up of thick mucus in the pulmonary and gastrointestinal tracts. In organoids grown from of healthy individuals, adding a substance called forskolin led the tissue to swell, whereas it did not have this effect in organoids grown from patients with cystic fibrosis, Clevers’s team found. Next, the researchers corrected the defect in cells from the cystic fibrosis patients using CRISPR/Cas9 and homologous recombination, and grew the resulting cells into mini guts. Unlike tissues grown from untreated cystic fibrosis patient cells, the CRISPR-modified organoids swelled up normally in response to the addition of forskolin. But Clevers’s work isn’t confined to modeling simple genetic diseases. In a 2015 study, he and his colleagues used CRISPR on intestinal stem cells to introduce mutations in several genes linked to colon cancer (APC, P53, KRAS, and SMAD4), and cultured the tweaked cells into organoids. When the researchers transplanted the organoids into mice, the tissue developed into tumors that resembled invasive carcinoma. Organoid models could be useful for screening candidate drugs, at a scale that’s impossible in human clinical trials or even animal models. 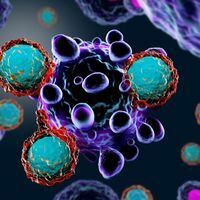 Because diseases affect each person differently, this approach could allow scientists to figure out which drugs have the greatest chance success in a particular patient. 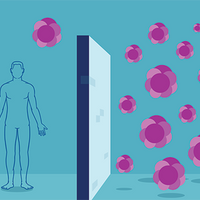 Further down the road, it may even be possible to take organoids grown from patient cells that have been edited to correct genetic defects, and re-implant them into the patient to treat diseases like cystic fibrosis. Washington’s Freedman and his colleagues have developed a way to grow kidney organoids from patient-derived iPSCs, which they use to study diseases like polycystic kidney disease (PKD), which causes balloon-like cysts to grow on kidneys, displacing healthy tissue. His lab uses CRISPR to introduce PKD-associated mutations into kidney cells in vitro, and then grows the cells into kidney organoids that form the cysts characteristic of the disease. Freedman imagines these mini organs could potentially be used for kidney regeneration, and more. 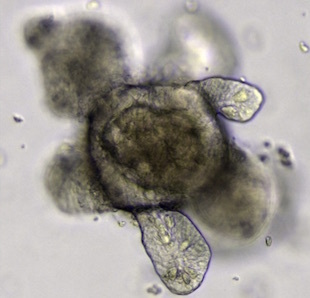 “I can dream about a day when we can grow not just organoids but also organs,” he said.